A ‘pushy and intimidating’ woman selling knives forced a woman to buy a packet so the seller would go away, say PSNI. A PSNI spokesperson said: “Yesterday afternoon a older female was approached while sat in her car at the Asda, Portadown by another female who she did not know. “This female was pushy and intimidating and was selling packets of knives. She would not take no for answer and one of our local residents was forced to buy the knives and had to hand over her own money to make this female go away. 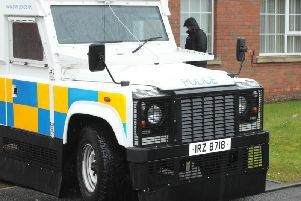 “The ‘seller’ was approximately 25 years of age with short hair and was wearing dark clothes and spoke with a Southern Irish accent and accompanied by an older female who had dirty fair hair and was wearing a red coat. “They both left in a dark colored vehicle.